Laakkuluk Williamson Bathory, born in 1979 in the Sask region in Canada, is a performer, video artist, musician and writer. During her childhood, Laakkuluk spoke only Inuktitut with her mother, who comes from Greenland, a reverence which is also often relevant in her work. Laakkuluk sees herself as an Inuk artist and often refers to her background in her work in both its aesthetic form and the themes she explores. She is a performer of ‘Uaajeerneq’, a traditional Greenlandic masked dance, which is also a form of story-telling and poetry. Laakkuluk is a founding member of Qaggiavuut! Society for a Nunavut Performing Arts Centre, an organisation that supports Inuit artists. Laakkuluk frequently works with the Inuk musician Tanya Tagaq, who will develop a piece with the South African artist Athi-Patra Ruga and present it at Kampnagel during NORDWIND. Laakkuluk also worked on Tagaq’s music video “Retribution” (2016) and performed for #callresponse (2017), an interdisciplinary exhibition that focused on indigenous North American artists at the SAW Gallery in Ottawa in Canada. At this exhibition, Laakuluk presented her video piece Timiga nunalu, sikulu (My Body, the Land and the Ice; 2016). In 2017, she received the Hnatyshyn Foundation Reveal Indigenous Art Award. Laakkuluk will show her work for the first time in Germany at NORDWIND. Based on the story of the Inuit, whose ancestors were dragged around Europe as exhibits in the eighteenth century, Laakkuluk Williamson Bathory goes in search of her own ancestors and links them with current questions: what does it mean to be forced into a role? How much do cultures depend on codified images? How can these images be changed, distorted, painted over? Williamson Bathory suspends the traditional post-colonial view in her piece through the combination of the traditional Greenlandic mask dance, uaajeerneq, and contemporary video art. In a powerful performance that moves between dance, video and orchestral music, she creates a space that expresses both an atmosphere of irony and mischief, and of violence and fear. 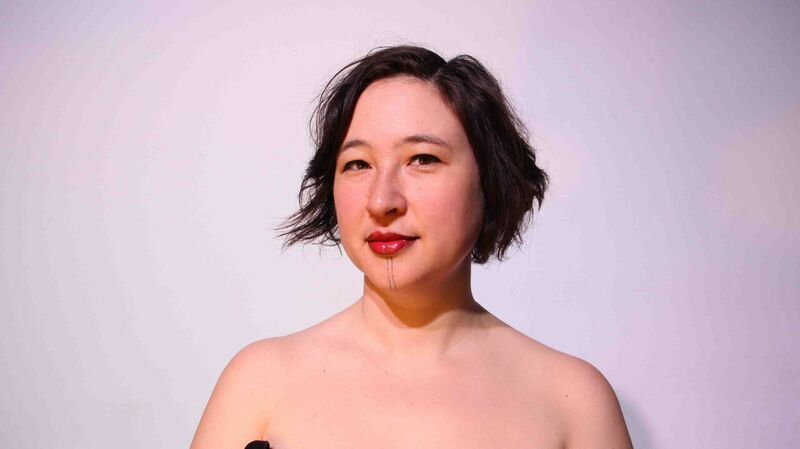 Laakkuluk Williamson Bathory is a Canadian performer who describes herself as Inuk and explores her own background in her work through the aesthetics she uses and the themes she addresses. In 2017, she was awarded the Hnatyshyn Foundation Reveal Indigenous Art Award. Subsequent to the performance Lakkuluk Bathory Williamson will play together with the Greenlandic musican Uyarakq.